1. I am so thankful for having had Thanksgiving Break. 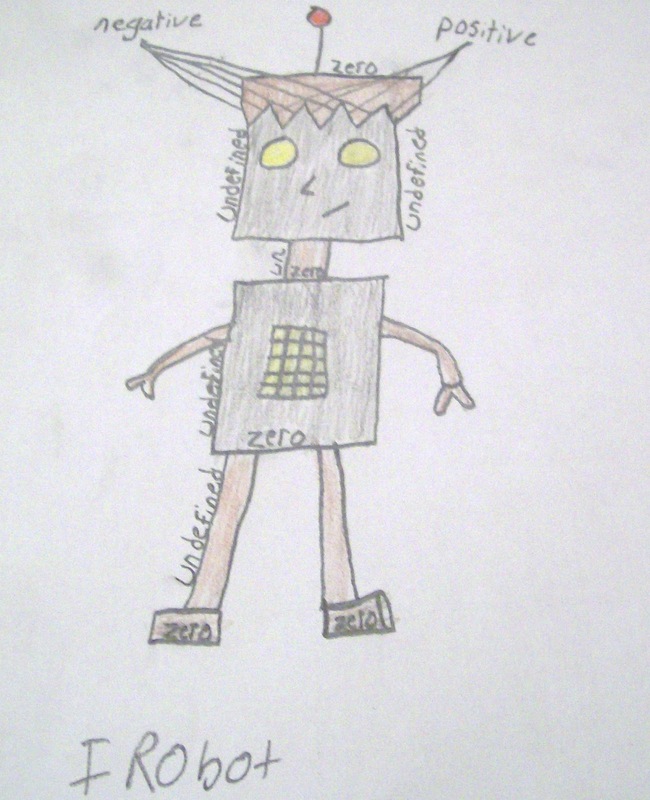 I really needed the time to step away from school for a few days and recharge my batteries. (And, I just realized that I still know the Spanish term for "recharge my batteries." Is that weird? I haven't had a Spanish class since Fall of 2009.) But, I was really bothered by how much my students seemed to have forgotten over Thanksgiving Break. Before Thanksgiving Break, we had spent about a week on graphing lines in slope intercept form as well as horizontal and vertical lines. However, after Thanksgiving Break, it was like my students had forgot to do things as simple as graph a point on the coordinate plane. They were inventing all of these new and creative (and incorrect!) 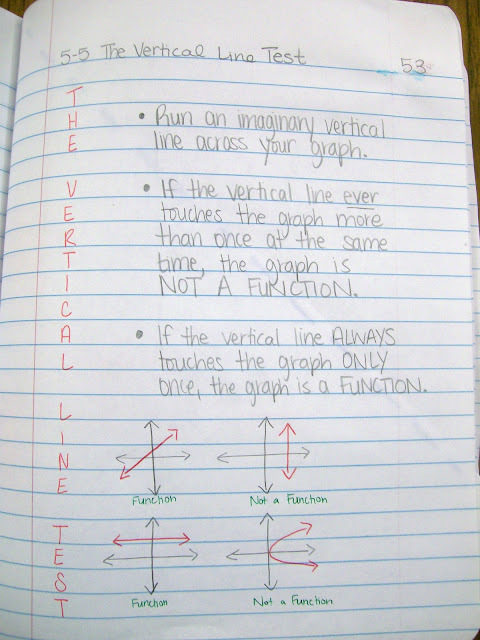 ways to graph points. I'm worried, now, though, about how much information they will have retained when they come back from Christmas Break which is much longer. 2. Dan Meyer knows that I exist. 4. "You're not my favorite teacher, but you are my best teacher." And, I'm totally okay with not winning the first title. My students know by now that I don't believe in free days. We don't watch movies. 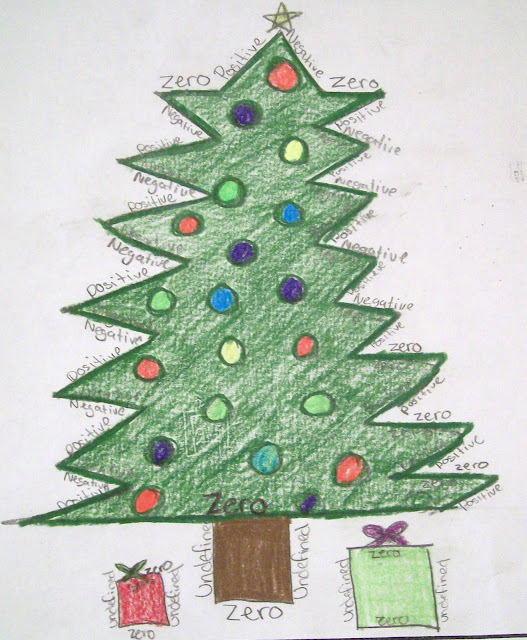 We do math daily--even if it's only a two day week due to Thanksgiving! Here are pictures of the entries in my Algebra 1 INB of graphing in slope-intercept form. Links to download templates are at the end of the post! Inside View of y=mx+b foldable. The x and y flaps define y as the dependent variable and x as the independent variable. 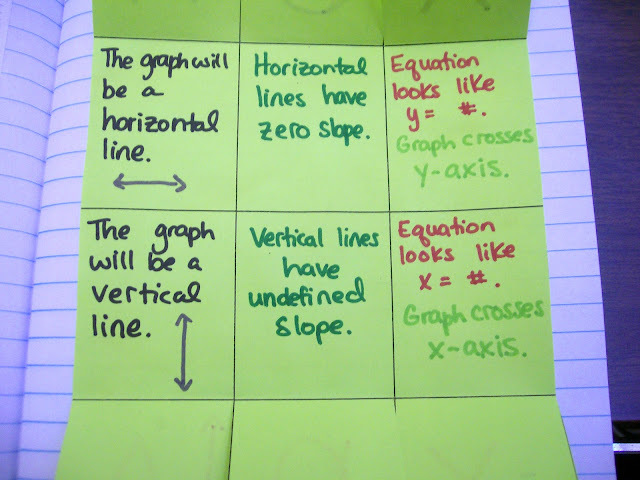 Notes over graphing using slope-intercept form. This page is kinda blah. 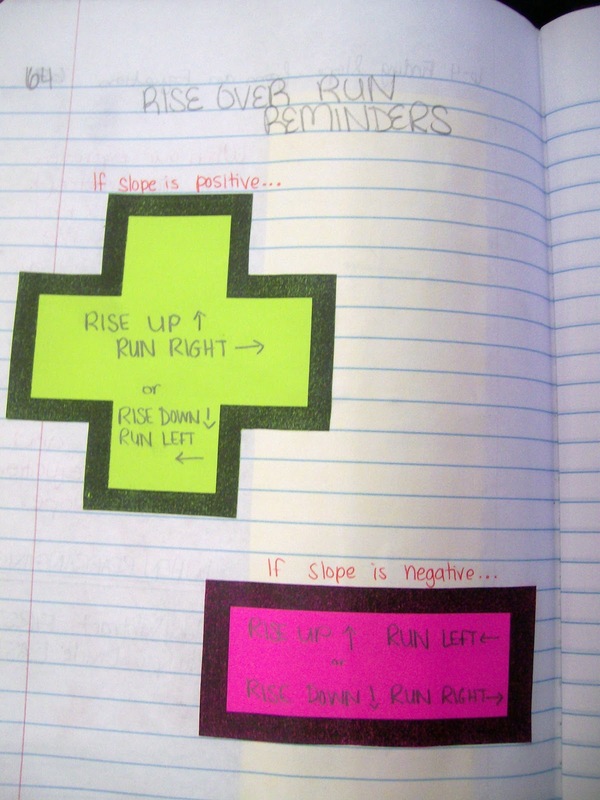 Reminders of which way to rise/run to get a positive or negative slope. Some of my students found this really confusing. Need to fix in the future! View of Left and Right Page in INB. I blogged more about the y=mx + b foldable here. 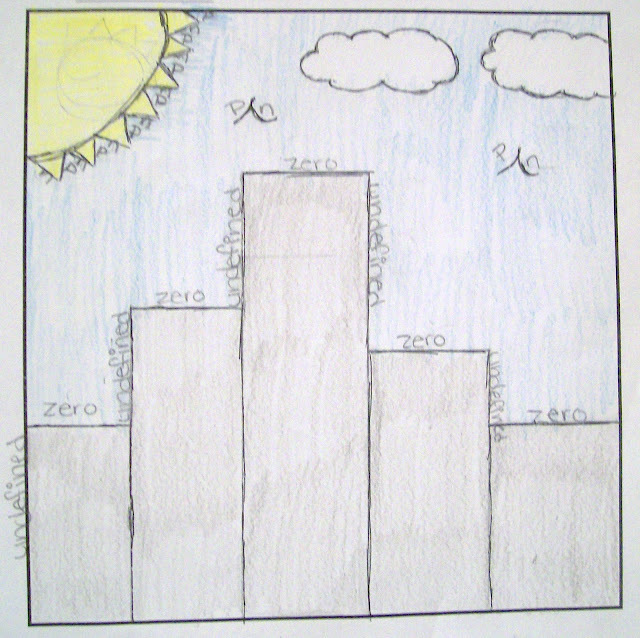 During my student teaching experience, my eighth graders really struggled with graphing horizontal and vertical lines. I was not presenting this material to them for the first time but reviewing it with them before the state test. I tried to get the students to see the relationship between what axis the graph crossed and how the equation started. This worked for some, but others continued to struggle. We listed points that were on each line with the hope that they would see the pattern. 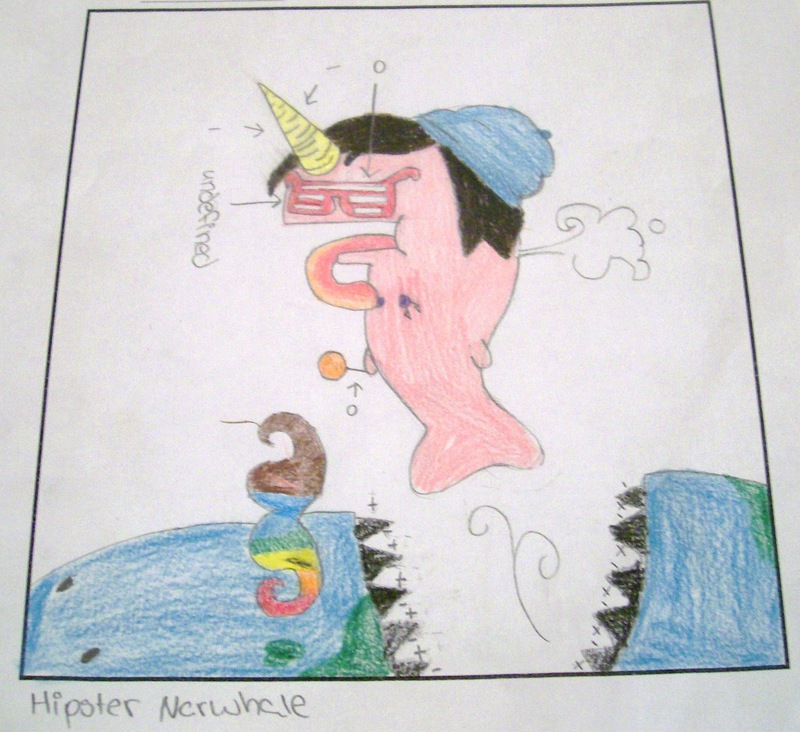 I was still never really satisfied with my presentation of the concept. Now that I am teaching high school Algebra 1, the graphs and equations of horizontal and vertical lines are still tested on our state end of instruction exam. I think I ran across the HOY VUX mnemonic for the first time this summer on Pinterest. I initially dismissed it because I just didn't get it. I didn't get what it supposed to sound like or be like. I felt like I was probably missing something pretty obvious, but it just seemed kinda strange. 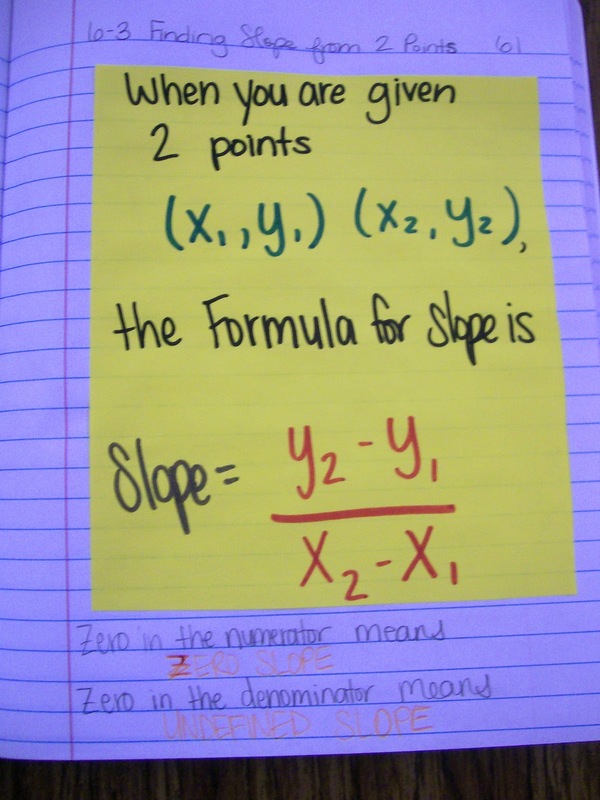 Since graphing equations is the main part of our Algebra 1 EOI exam, I have been trying my hardest to make sure I give my students the strongest graphing foundation possible. Yes, I want my students to pass their EOI test in April. And, yes, you could say I am teaching to the test. In the state of Oklahoma, if my students do not pass their Algebra 1 EOI Exam, they cannot receive a high school diploma. They are given the chance to retake the exam or pass an alternate test if they do not pass the test. My students already have enough obstacles between them and graduation. I want to know that I have done everything possible to ensure that they go into that test prepared for the types of questions it will ask. Okay, this blog post hasn't gone exactly where I had anticipated it going. Back to HOY VUX. A peek under the flaps of the HOY VUX Foldable. About a week and a half ago, I read about HOY VUX on another blog. That blogger mentioned that HOY VUX was supposed to be a nonsense word. All of a sudden, it made sense why I hadn't been able to figure out what it meant. 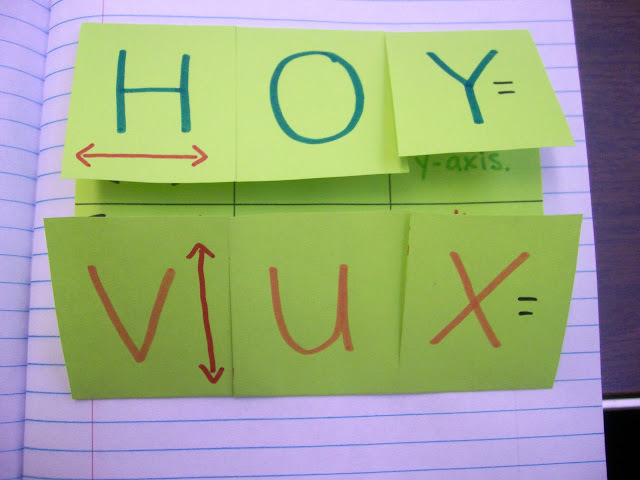 On the Monday before Thanksgiving Break, I introduced my students to HOY VUX. We discussed what each letter stood for. 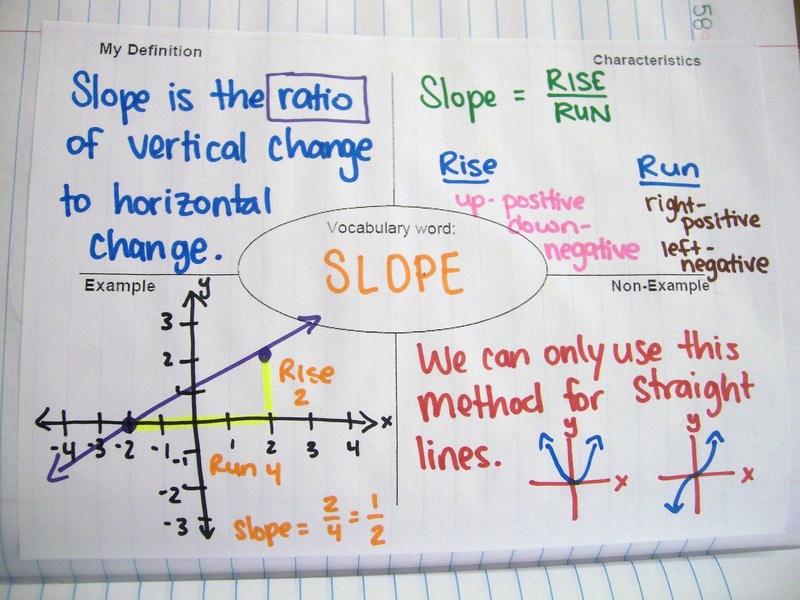 They had already learned from Slope Dude that horizontal lines have zero slope and vertical lines have undefined slope. 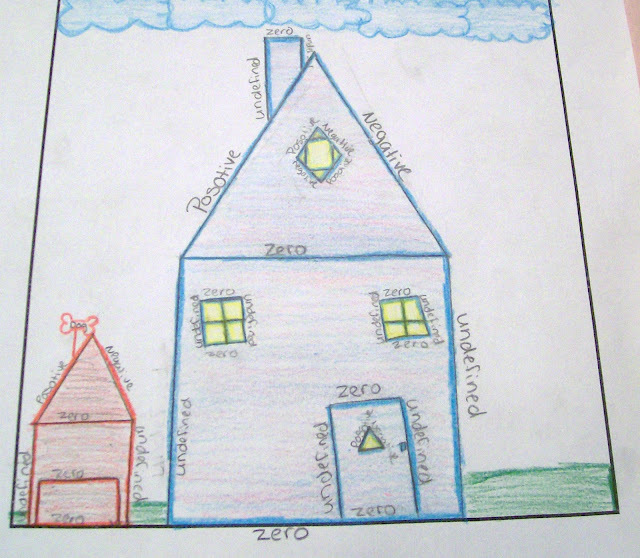 I did have to explain the difference between horizontal and vertical to some of my students. I tried the explanation of horizontal is like the horizon, but that held little meaning for my students. Finally, one student decided that vertical sounded a lot like vertebrae, and your vertebrae goes up and down. 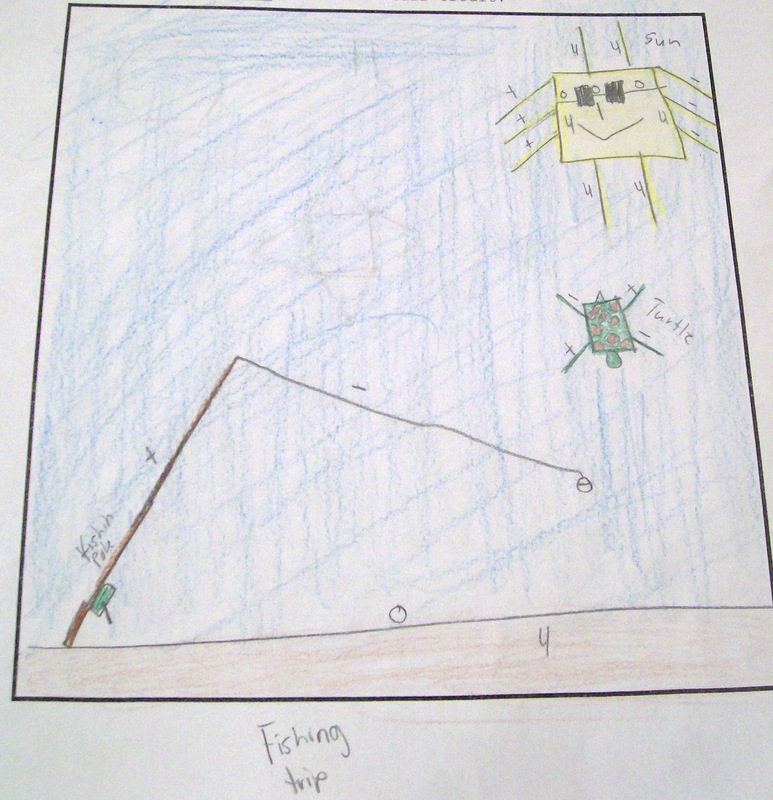 With just a minute or two of explanation, my students were ready to start graphing and applying HOY VUX. 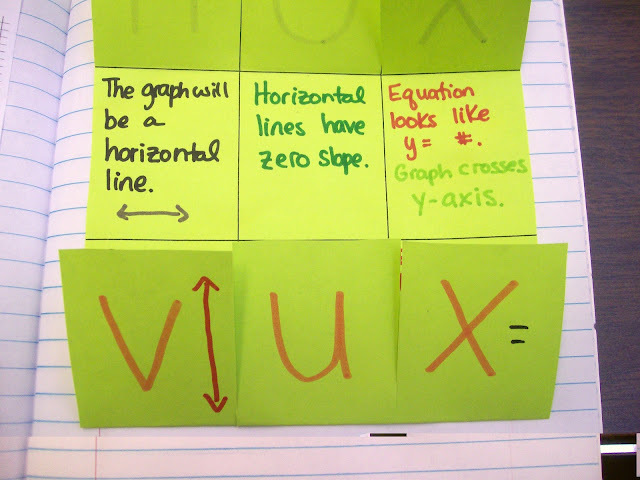 Tuesday, the day before Thanksgiving Break, we created a foldable over HOY VUX to put in our interactive notebooks. Under each flap, we wrote reminders of what each letter stood for. 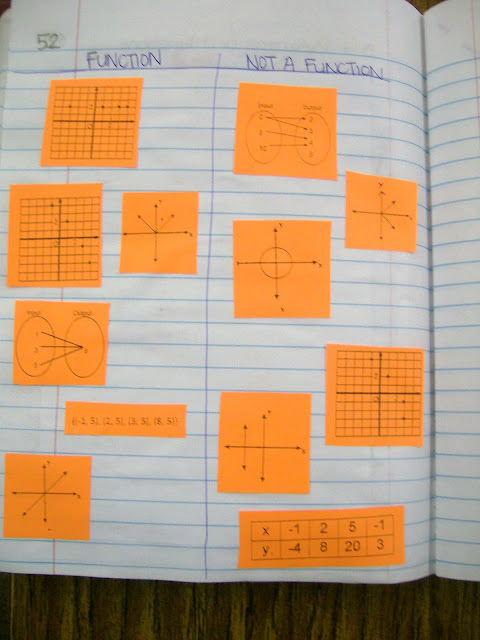 We used the X and Y flaps to describe both what the graph and equation look like. I think this is very important. 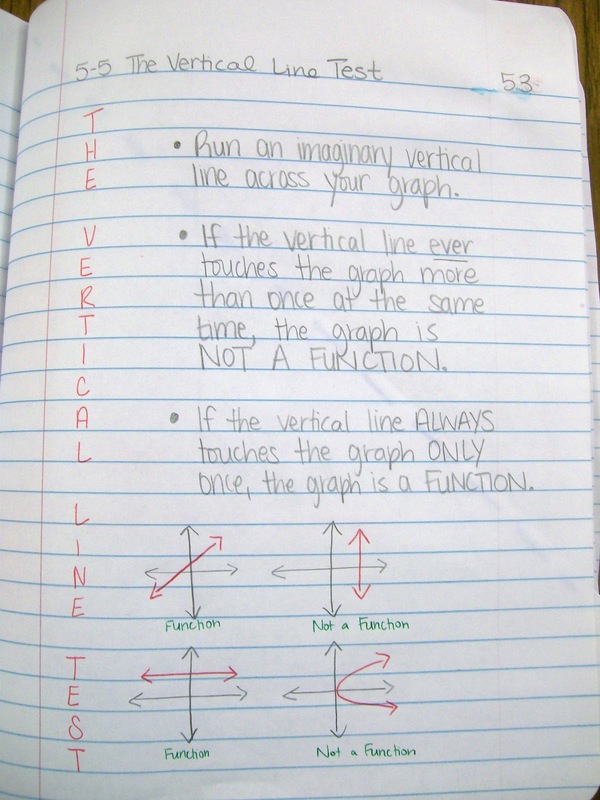 On the left page of our interactive notebook, we practiced graphing horizontal and vertical lines. I made sure that we graphed both x=0 and y=0 since I found that my students were most likely to confuse these. 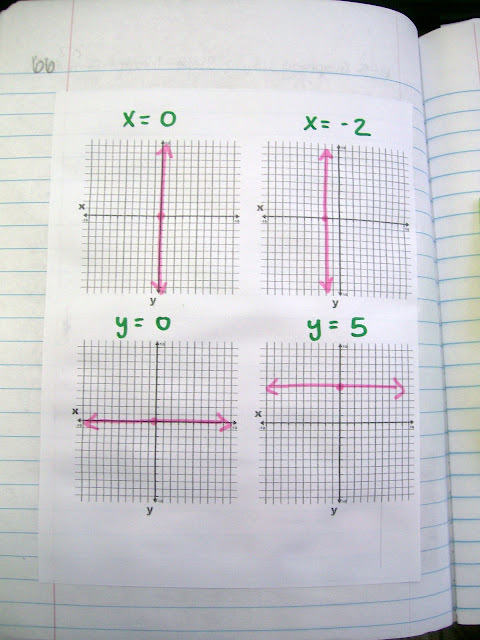 View of both pages of INB entry over Graphing Horizontal and Vertical Lines using HOY VUX. 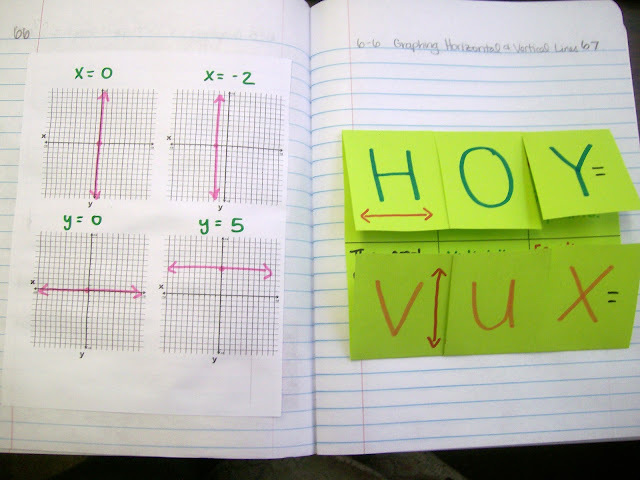 I wish I could say HOY VUX was the solution to all of my horizontal and vertical graphing needs. It works like a charm for almost all of my students. However, I have a handful of students who refuse to use it. While everyone else is graphing away, they will raise their hands for help. I will try to prompt them and ask if we would use HOY or VUX. And, they always tell me that they don't do it that way. They do it their own way. Which would be fine with me. I don't tell my students that there is only one right way. If they come up with a method that works better for them, they are more than welcome to use it. I often have them share it with the class. But, the problem is these two students didn't have their own way. They just didn't want to use my way. So, their solution was to just ask for help each time. I don't know how to deal with this. Is this my fault? Or is it theirs? Here is a copy of the blank template I gave students to make their HOY VUX Foldable on. ...had weekly and even daily conversations with my students about what it means to be a vegetarian. My students are still amazed by the fact that I don't eat meat. We discuss the differences between vegetarianism and veganism. Our conversations often go like this: "Ms. H, you're a vegetarian, right?" Yes. "So, does that mean you can't eat potato chips?" I can eat potato chips. Why would you think that? "Well, I thought they might add something to them." ...taught a student how to make flashcards to study for their history test. I forget that study skills are something that must be taught. ...given spelling lessons. "Ms. H, are you sure you spelled algebra right on the board?" Yes. ...showed one of my students how to count change so he could determine if he had enough money to purchase something from the vending machine. 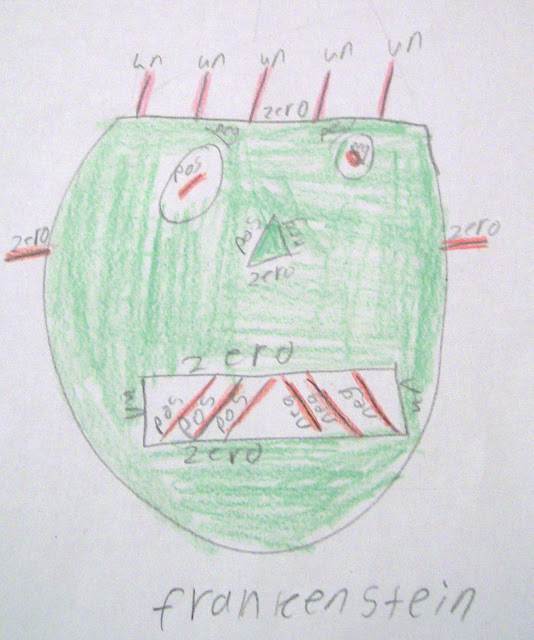 ...taught two students how to tell time from an analog clock during Saturday School. The short hand points to the hour. Whichever number the short hand has most recently passed is the current hour. The long hand points to the minutes. Take the numbers around the outside of the clock and multiply them by five to find the minutes they represent. ...broadened my students' vocabulary. Today, we learned what the word "impede" means. Last week, it was "hodgepodge." ...encouraged my students to take the ACT. I encourage my seniors to start applying to colleges. I didn't realize that this would be so hard. I can encourage them, but I can't force them to actually take the next step. ...discussed with my students the fact that the three dots preceding this phrase form an ellipsis. This led to further discussion on what the three dots actually mean. I love teaching high school. 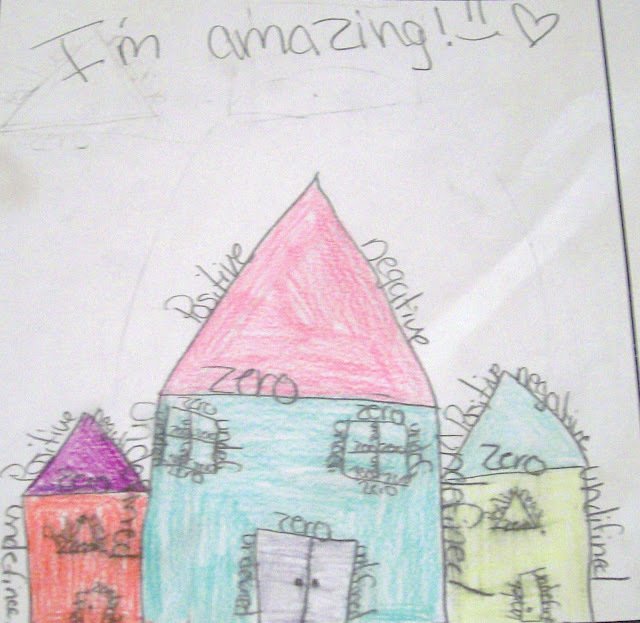 And, I love teaching math. I remember debating what age group to teach when I was in high school. Then, I was afraid that I would get tired of teaching the same math lesson over and over. Let me tell you, I may think that I will be teaching the same math lesson four times each day, but each and every lesson turns out differently. 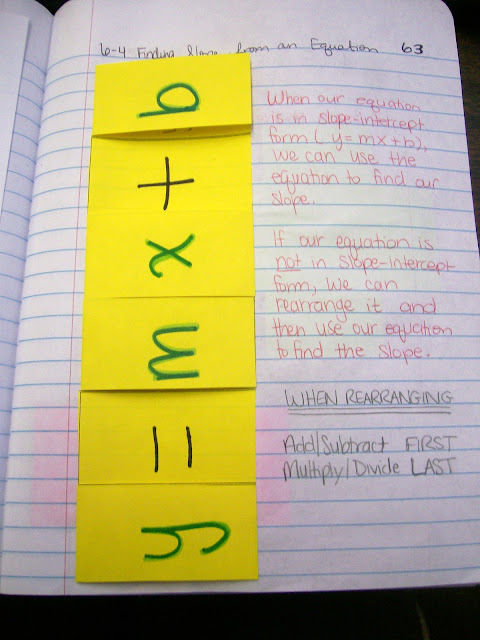 What one class grasps right away requires extra explanation in the next. Jokes are made. Life is discussed. Math problems are solved. I don't think I could ever get bored with this job. Daily, it is a new adventure. 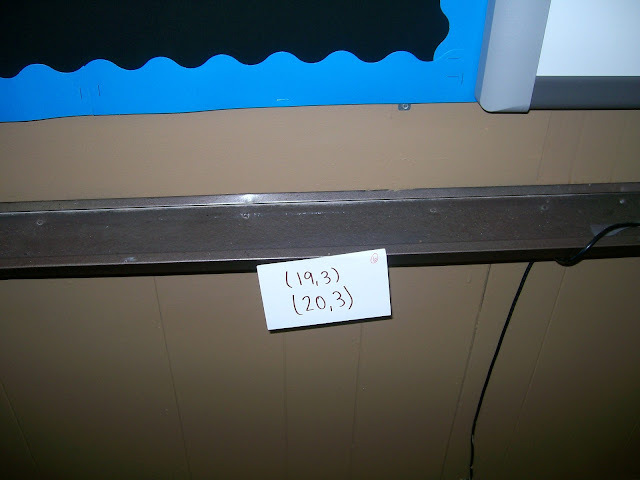 Do you want to give your students lots of practice finding the slope between two points? 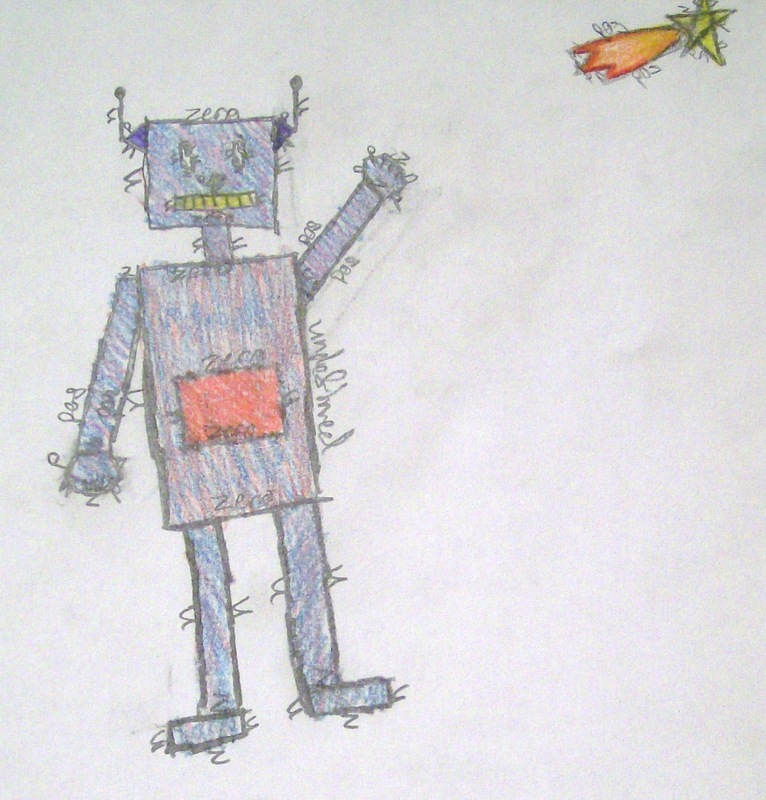 Do you want to spark the interests of your students about what you will be learning that day? More than that, do you want to spark the interests of every single person who walks into your room? Inspired by Mimi's post about practicing exponent rules, I decided to change things up last week while teaching my students how to find the slope between two points. We did our interactive notebook entry and lots of practice on our dry erase boards. 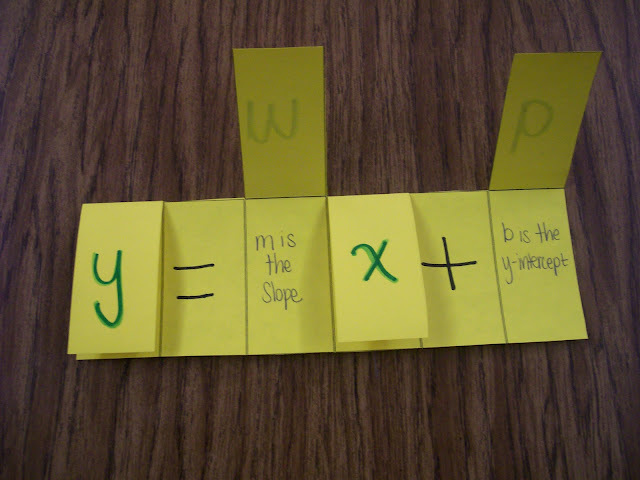 Instead of giving my students a worksheet, I took the 16 problems from the worksheet and wrote them on index cards. I spent a few minutes taping them around the room. 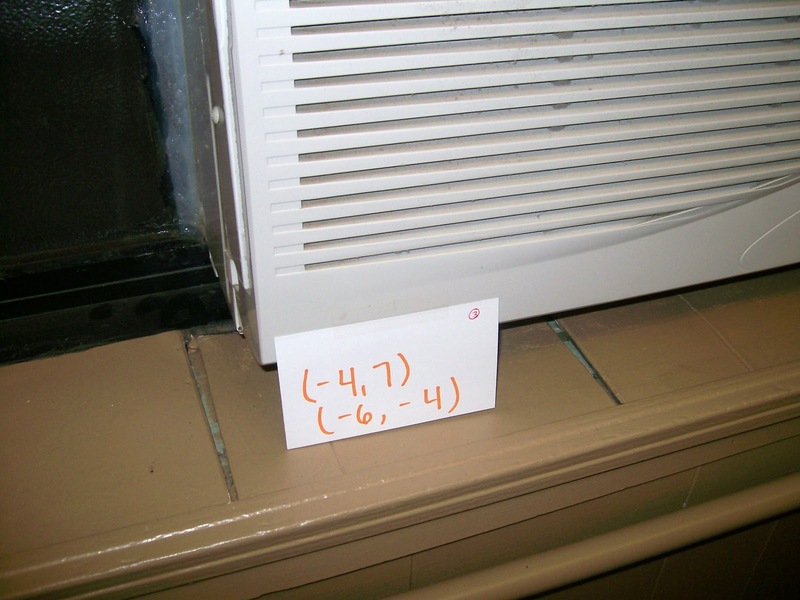 Let me tell you, these index cards were the first thing everybody noticed when they walked into my classroom. I had question after question about what the cards were for. I had the students find a problem to solve, write their answer on their dry erase board, and hold it up for me to check. I could have written the answer on the back of the card, but I really wanted to get a sense of which students were getting the hang of the procedure and which still needed more practice. The students got instant feedback on their work. I got instant feedback on their level of understanding. 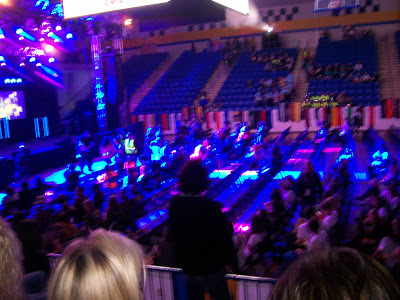 The students got to get up and move around. Each student worked at their own pace. Some finished all sixteen problems. Others only got through two or three. But, for the most part, each student was working for the entire time. 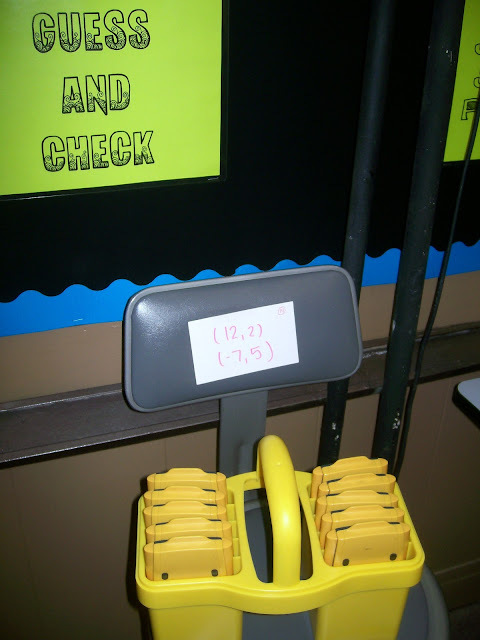 Some of my upper level classes were jealous because they didn't get to play a game like my Algebra 1 students did. 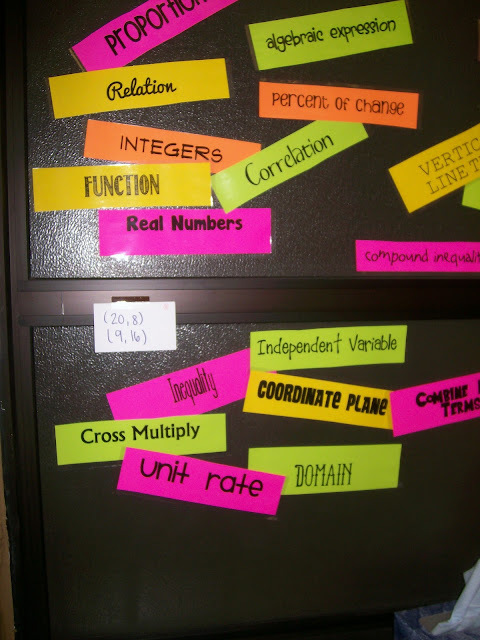 I found it interesting that placing the problems around the room instead of on a worksheet turns practice into a game. Student after student asked me about the cards, what they meant, and why they were up around my room. I would definitely do this activity again! 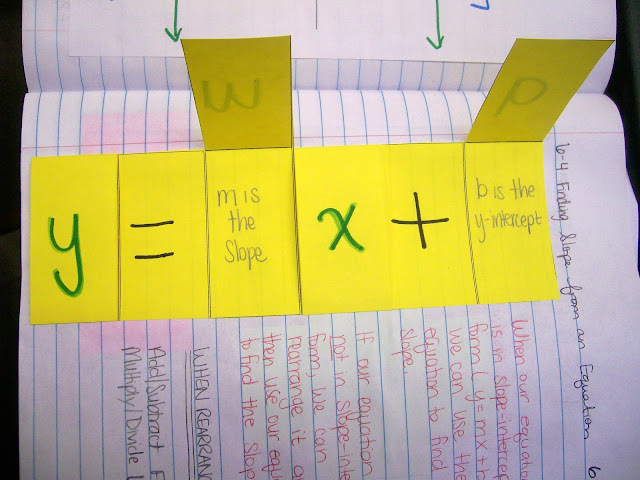 Here are my latest interactive notebook entries over functions, relations, and slope from my Algebra 1 classes. If you haven't noticed, I love the Frayer Model for vocabulary. It has become one of my go-to entries for the interactive notebook. I started out the year with miniature Frayer Models. Not anymore. I like to take up the entire page. My favorite part is the example and non-example boxes. 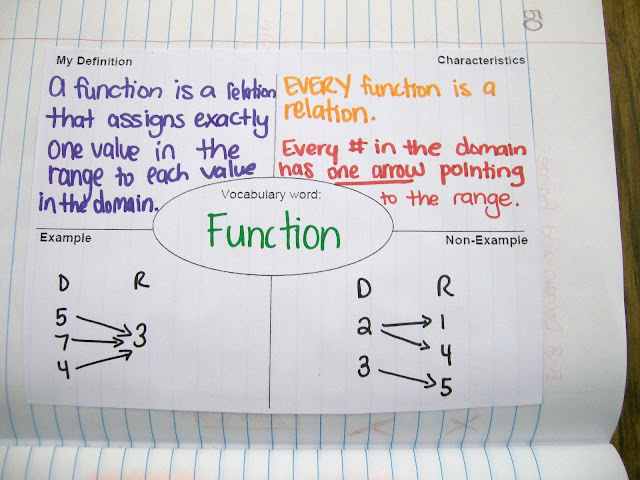 The more Frayer Models we complete, the more my students want to create their own examples and non-examples. Their thought processes are slowly changing. They are starting to process the material and make it their own before I prompt them to. 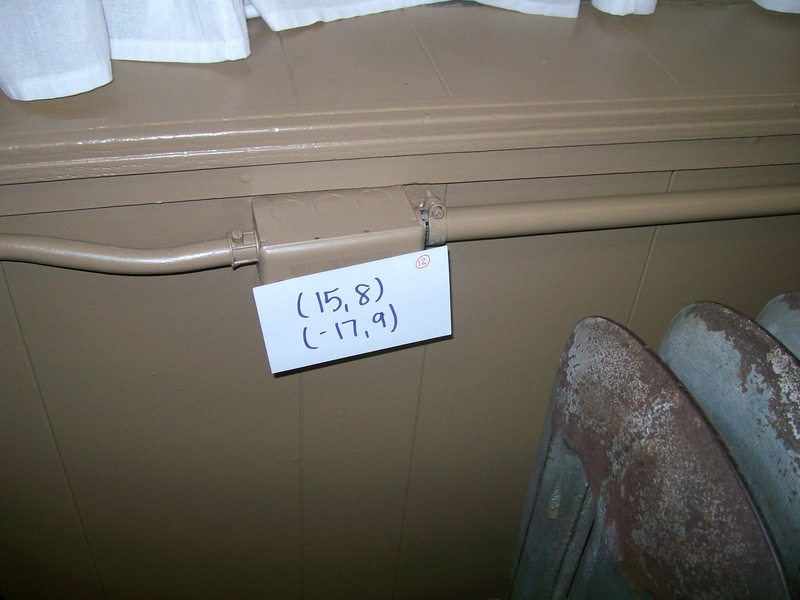 For example, recently we completed a Frayer Model over the y-intercept. 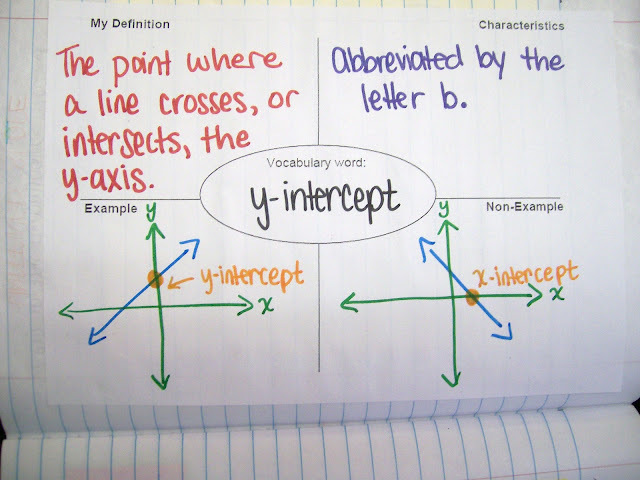 In the example box, I instructed my students to draw a linear graph and mark the y-intercept using a colored pencil. Before I could give them instructions for the non-example box, I had students giving suggestions left and right. Some wanted to mark the x-intercept. Others wanted to mark a point that was not even on the line. Still another said we could mark any point that was not the y-intercept. At the beginning of the year, my students didn't even know what a non-example was. Now, they are creating their own. I am accomplishing something. My students are accomplishing something. It's so easy for me to focus on all the areas in which I need to improve that I lose sight of the fact that I am making a difference. Anyway, here are a few photos. I've added a few new pages since taking these photographs. That's just testimony to how busy life as a first-year teacher is. Students had the choice to illustrate the journey of Slope Dude, draw Mr. Slope Guy, or create their own way of illustrating the four types of slope. This entry is proof of why I am not an art teacher. 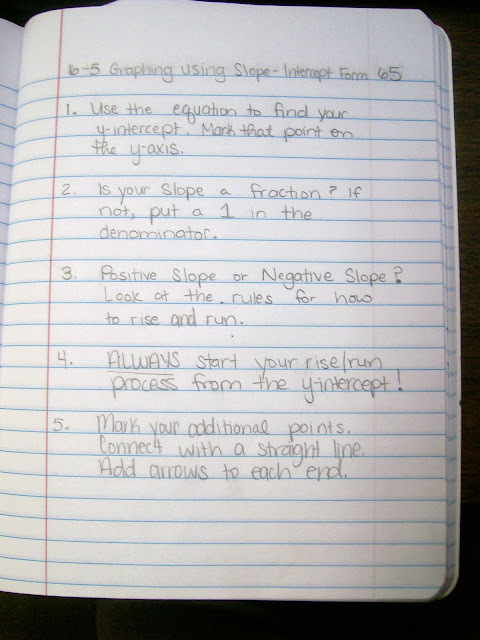 These strategies are from Inspiring Active Learning. I ordered it in October, and it has already become one of my most referenced teaching books. It is full of teaching strategies for everything. I can't wait for Christmas Break or this summer when I hope to have time to actually sit down and read it from cover-to-cover. So far, I have just scanned through various chapters to find ideas to inspire more reflection and active learning in my classroom. 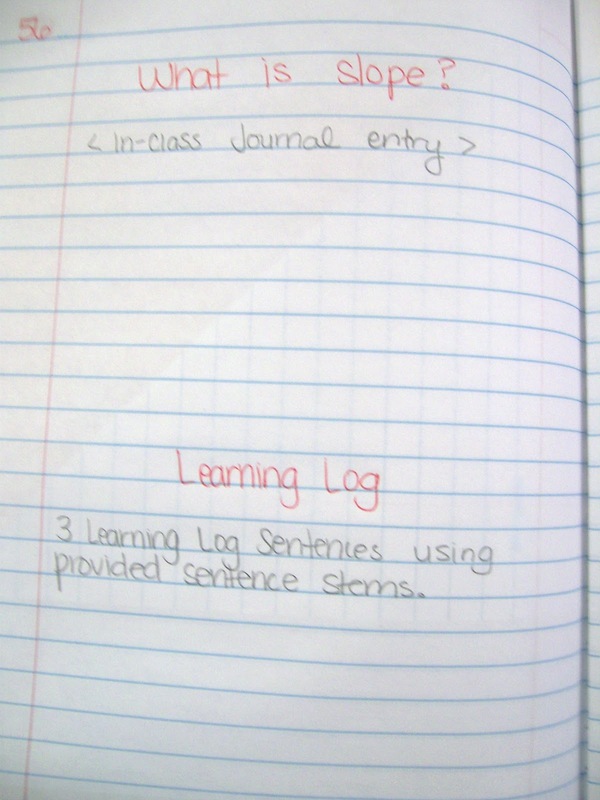 I had my students do an in-class journal entry and a learning log. After doing this activity with my Algebra 2 students, I knew I definitely wanted to do it with my Algebra 1 students. 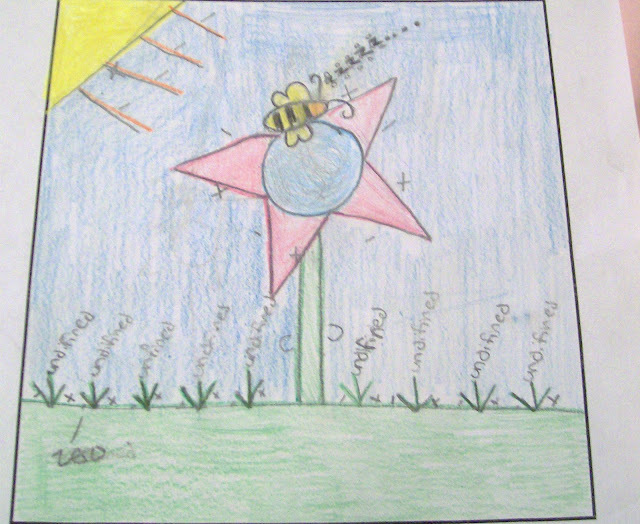 This activity was taken from Math Tales From The Spring. Finally, I decided I would just leave work one day at a decent hour (which for me is 5pm) and go and just get it done. As I was telling the hairstylist what I wanted, we started chatting about life. I told her that I was a high school math teacher. And, I was most surprised when she said that math was her favorite subject in high school. I'm so used to hearing people tell me stories about how math was their worst subject or they never understood it. I also often hear stories about the one teacher who ruined math for them. I'm pretty sure people regularly question my sanity for choosing to teach math. Anyway, she told me that she had taken Algebra 1, Geometry, Algebra 2, Math Analysis, and Pre-Calculus in high school. And, if she had had more time, she would have loved to take even higher math classes. So, while we are discussing math, the other hairstylist walks by and overhears part of our conversation. Upon hearing the word math, she starts telling us both that she loves math and that it was her favorite subject in school. What is the likelihood that I would pick the hair salon where all the math-lovers work? 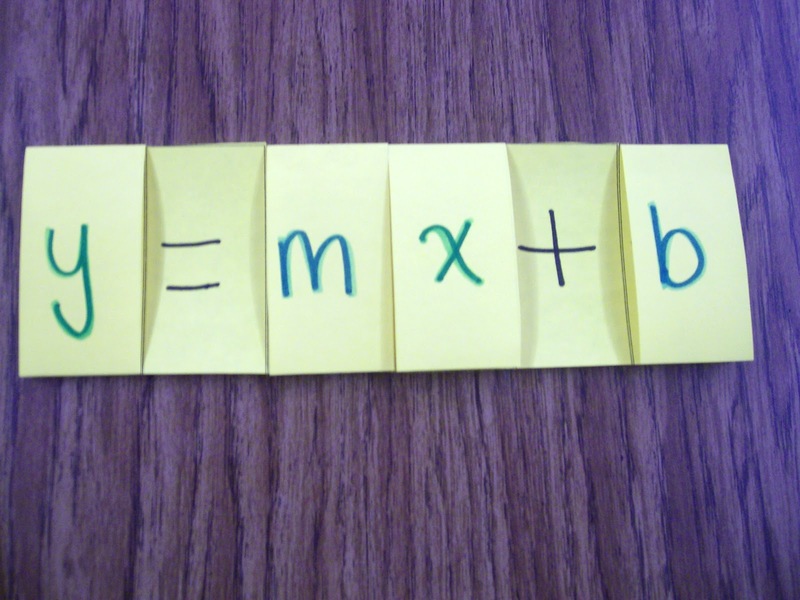 The whole experience just makes me wonder - what would my job be like if more people loved math? What would it be like if more parents loved math? What would it be like if more teachers loved math? Actually, it wouldn't even have to be "love." I could definitely settle for a greater "respect" of mathematics. 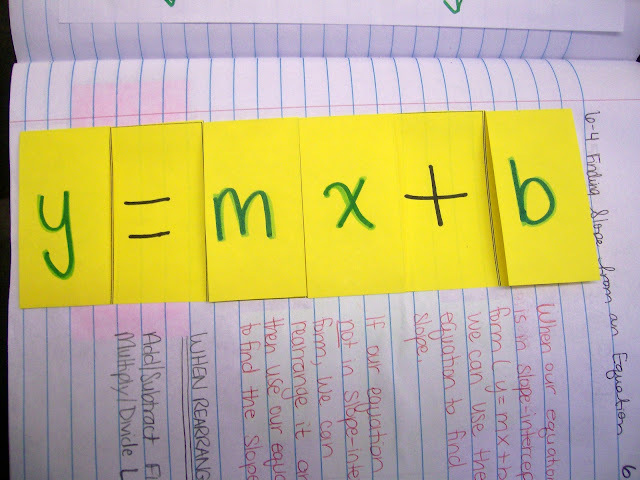 Yesterday, I finally introduced my Algebra 1 students to y = mx + b. I have had several students who have been really anxious to get to this part of the chapter. These are students who are taking Algebra 1 for the second time or have moved in from another school district. Most of my students, however, have never seen this before in their lives. I want to say that this foldable is original. But, I so rarely come up with something that is completely my own. So if it's not original and you came up with this, please let me know so I can link back to a source. 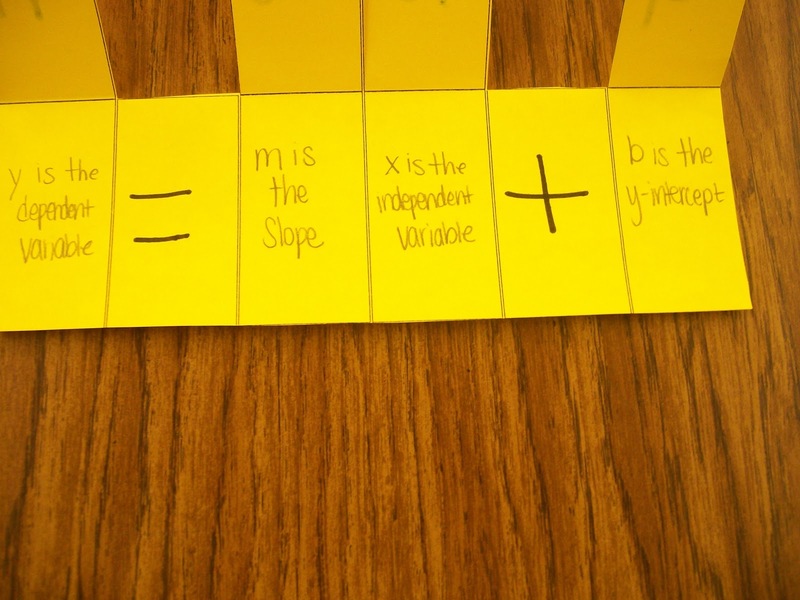 Inside of tabs reminding students what the m and b stand for in Slope Intercept Form. This is the actual color of paper I used. I don't know why it didn't come through in all my pictures. I used this lesson as an opportunity to circle back once again to independent and dependent variables. Most of my students are still struggling with converting equations into Slope Intercept Form. So, we'll be working more on that today. Here's a pdf of my foldable template. It's not the most elegant template, but it worked. This is sized to fit in our notebook sideways with extra room to write several sentences worth of notes. 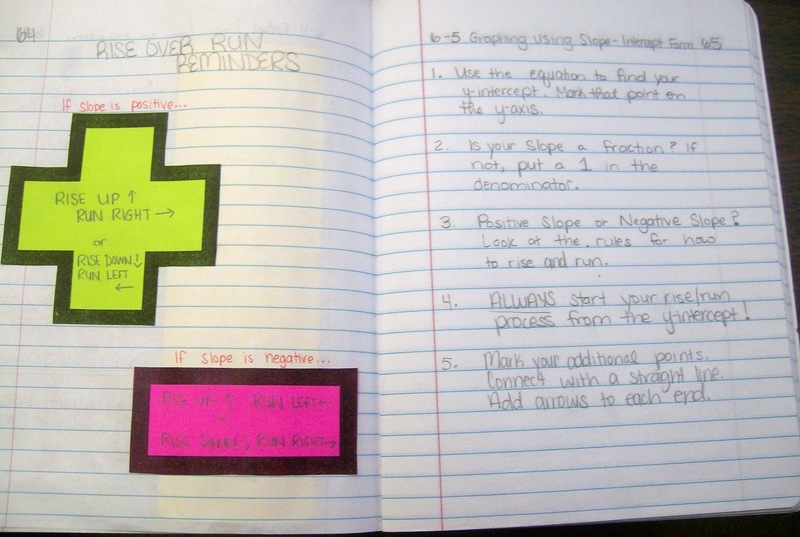 If you are not doing interactive notebooks, I would suggest making it slightly larger so you will have more space to write inside. I still need to take a picture of it inside our notebook with the notes to share. This weekend and today were spent attending my first ever student council state convention. It was full of fun and games and amazing speakers, but I have to admit that I am exhausted. I'm so thankful to be sleeping in my own bed tonight. 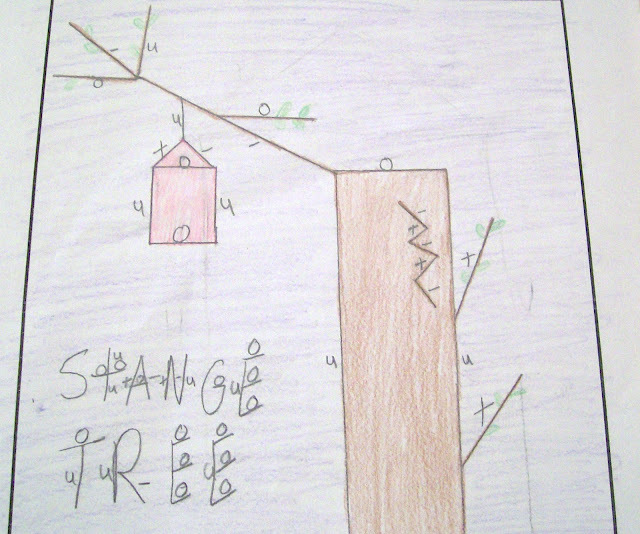 On Friday, I started our next chapter in Algebra 1 over graphing linear equations. I went over the four types of slope. I had heard amazing things about the Slope Dude video on twitter. At first, my students didn't know what to think. 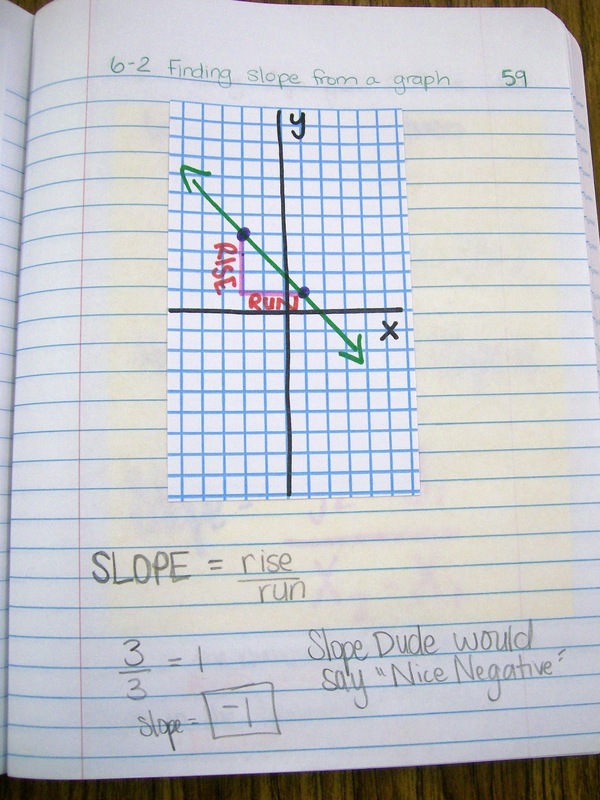 Then, like magic, the students started repeating whatever Slope Dude had said without my prompting. This didn't just happen once. It happened every time I showed it. They were laughing and having a good time watching the video. Even more importantly, those phrases stuck with them. The students were easily able to classify the type of slope of any graph I could throw at them. They begged and begged to watch the video again. 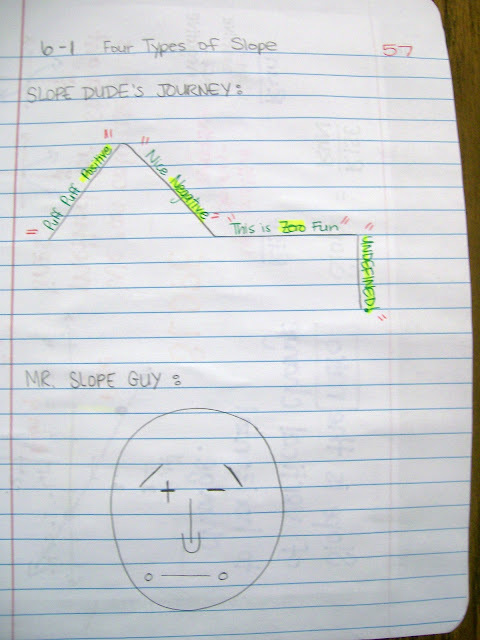 I also showed them how to draw Mr. Slope Guy. I thought they would really enjoy him, but they had already almost mastered the types of slope from Slope Dude. So, they weren't as impressed as I had expected them to be. Then, we used our new knowledge of the types of slope to classify the slope of each letter of the alphabet. This activity sparked some great conversations. 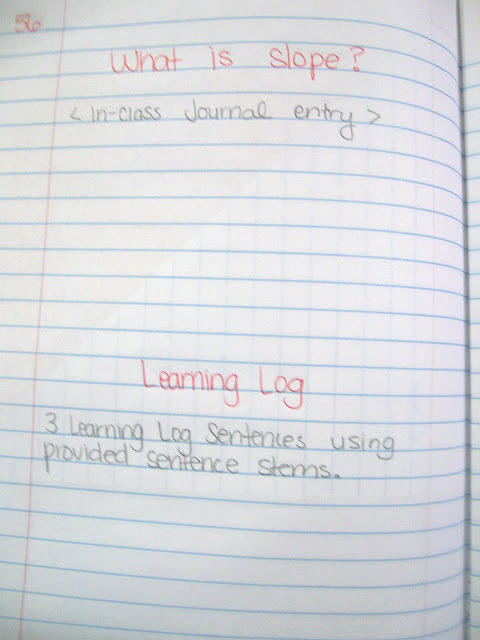 I tried out learning logs for the first time during this lesson, too. But, I'm planning a separate blog post on that. Since I wasn't there today, I needed to leave an assignment that my students could complete without my assistance. 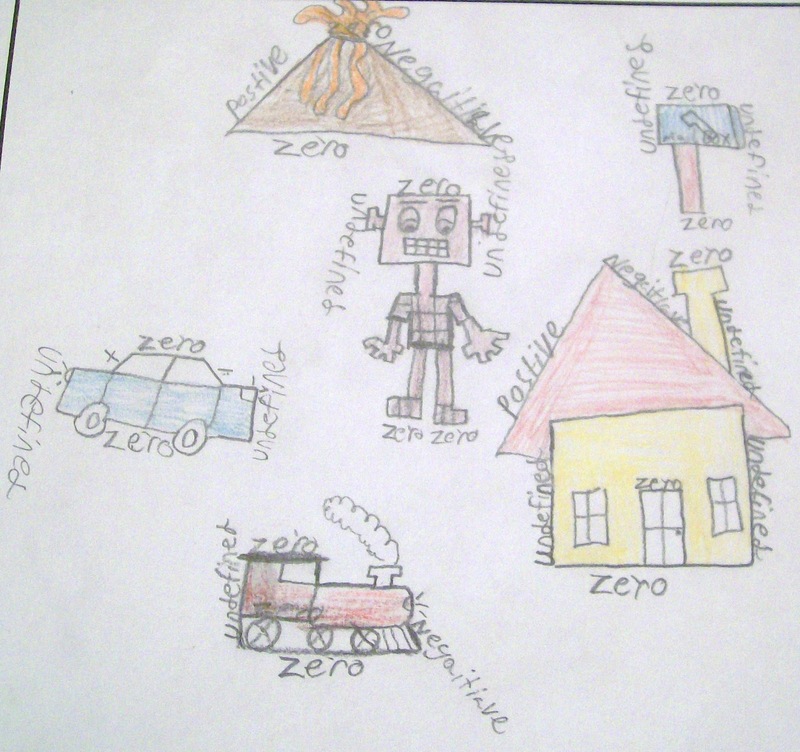 I left them with instructions to draw a picture that included at least 5 lines with positive slope 5 lines with negative slope, 5 lines with undefined slope, and 5 lines with zero slope. 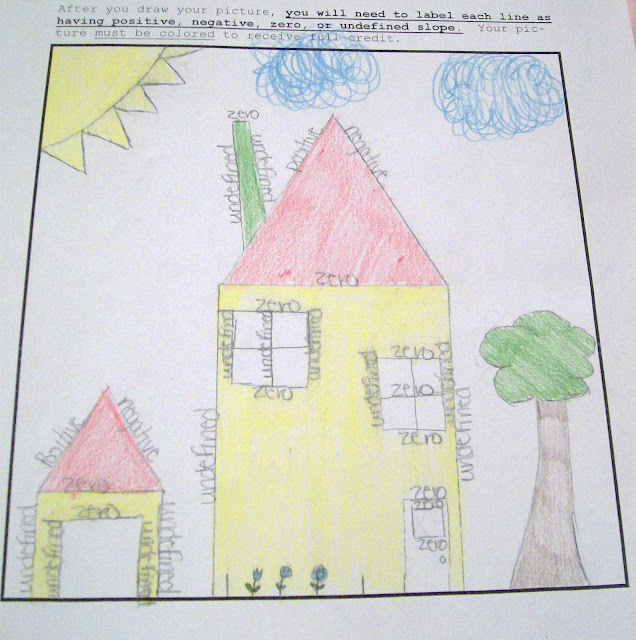 Then, they had to label the slope of each line and color their picture. These are just some of the creations I came back to today. Please note: some of the slopes are labeled incorrectly in these pictures. I have a couple of students who are switching positive and negative in some cases. 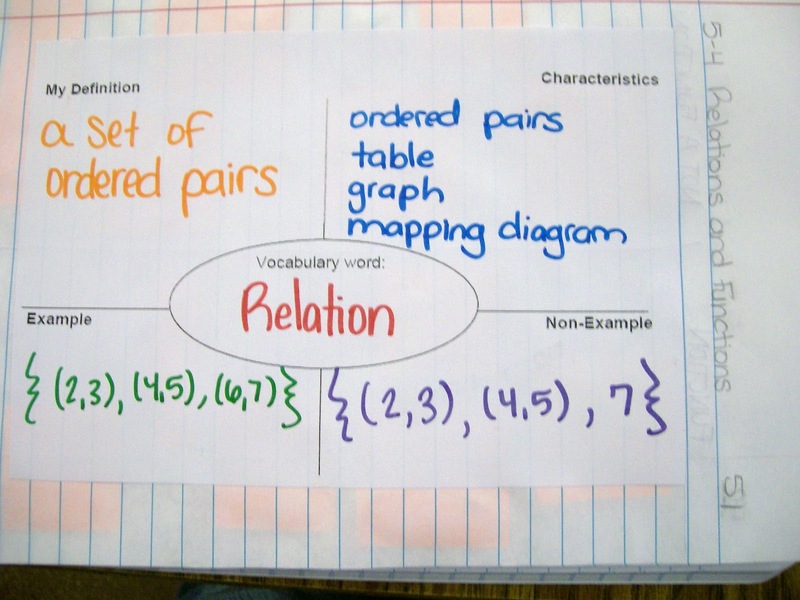 This is good for me to know so I can try to work on clearing up some misconceptions tomorrow during our bellwork time. Slope Picture - "Stange Tree"
Slope Pictures - Volcano, Robot, Train, House, and Mailbox. I can't tell you how proud I am of this student. He put more effort into this assignment than I have ever seen him put into anything this year.